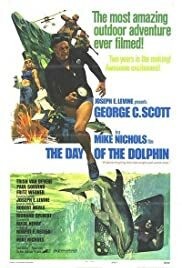 A marine biologist teaches his dolphins to communicate in English but shady characters plan to kidnap the trained mammals for a more sinister purpose. A filmed version of the Broadway show starring comedienne Gilda Radner, complete with the characters she made famous on the TV show "Saturday Night Live." Chronicling the lifelong sexual development of two men who meet and befriend one another in college. In a Manhattan psychiatric hospital a man, convinced he is Sherlock Holmes, is treated by a female doctor who happens to be named Watson. A getaway driver comes out of retirement to pull off one last run - one that could send him to an early grave instead. In seventeenth-century England, Amber St. Clair aims to raise herself from country girl to nobility, and succeeds, but loses her true love in the process. Alpha: [after blowing up the yacht] David is... NOT! Our family hadn't seen this movie for a long time and so I decided to get my taped copy out (aired on Showtime in 1989) and was surprised to see the excellent film quality -- even though the tape was recorded in SLP. We enjoyed the movie very much. The beginning is a little slow but rest of the movie more than makes up for it. I loved the dolphins, I wish I knew more about how they made the movie -- I was looking for any trivia here at IMDb.com but didn't find any. I think children would really love the parts that involve the dolphins interacting with the "owner"/ humans (and fascinating) but this movie is NOT for children as there is violence toward humans and dolphin as well and it would be frightening for young ones. I feel it has a lot of different things to like. I can't say more without spoiling the story but I wish there was closed captioning for some of the dialog. We viewed this in Full Screen but the 2003 & 2006 DVD releases come in Wide Screen: 2.35:1 aspect ratio and I am sure the beautiful scenery benefits by it.